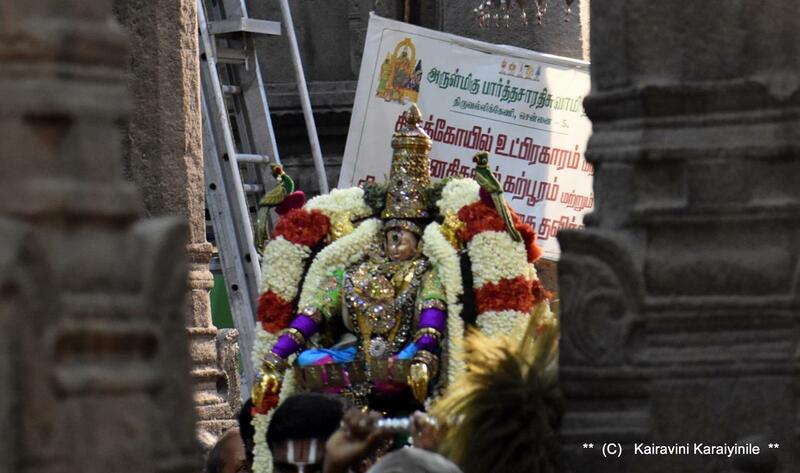 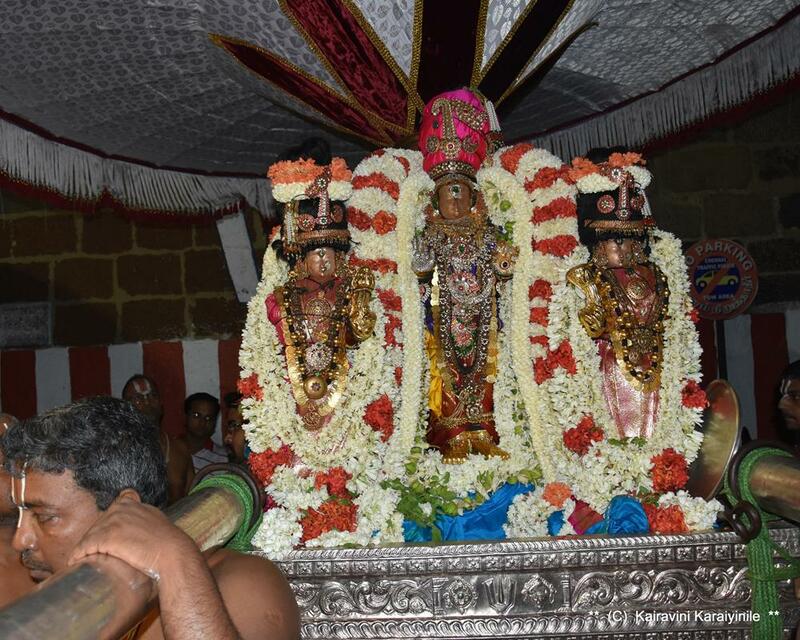 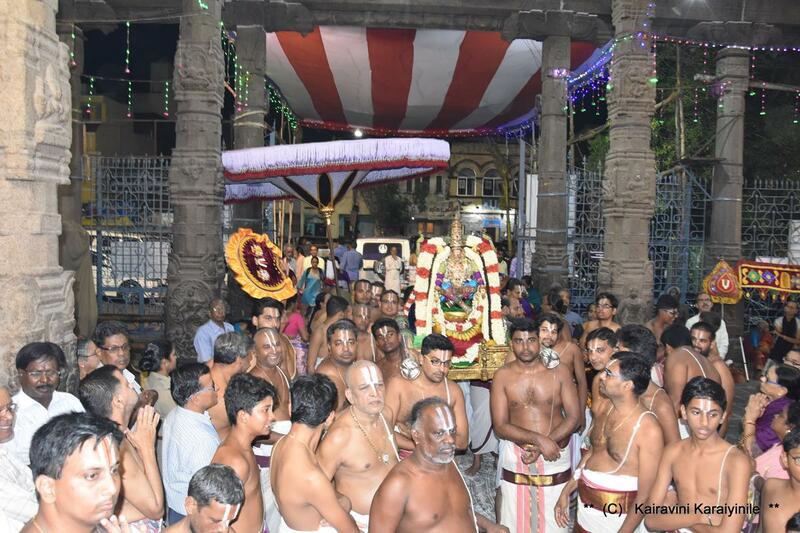 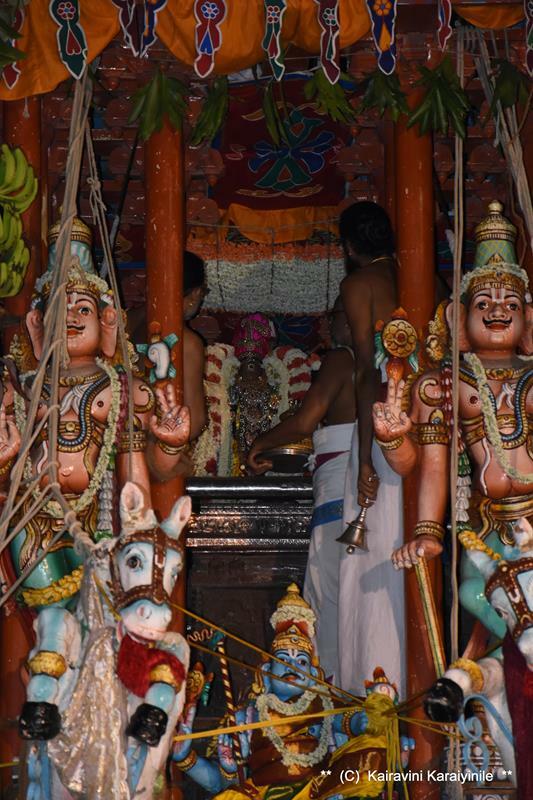 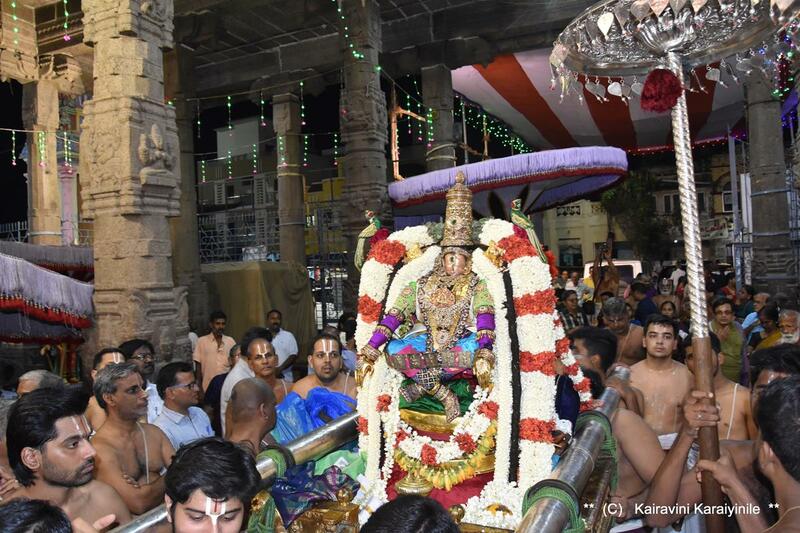 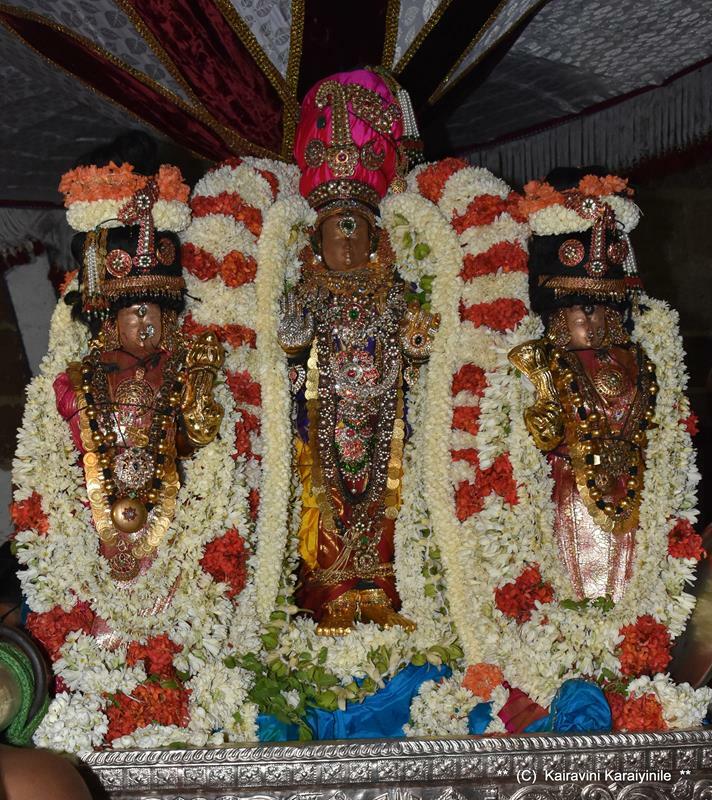 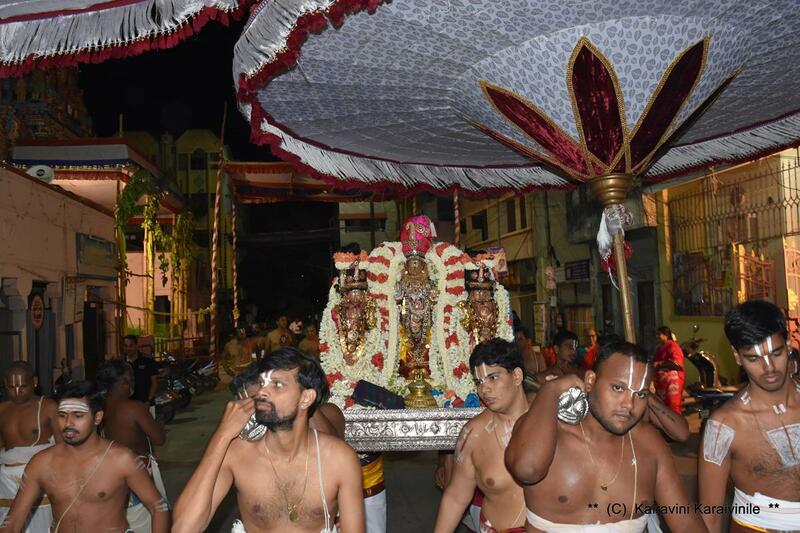 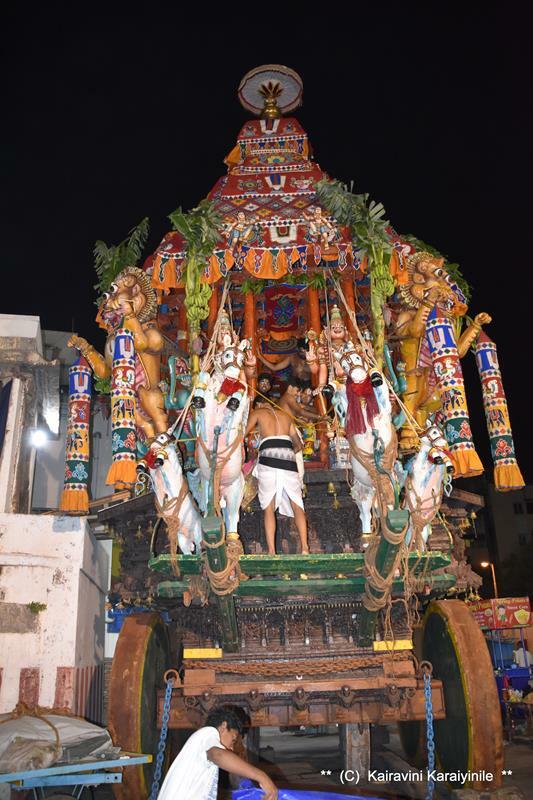 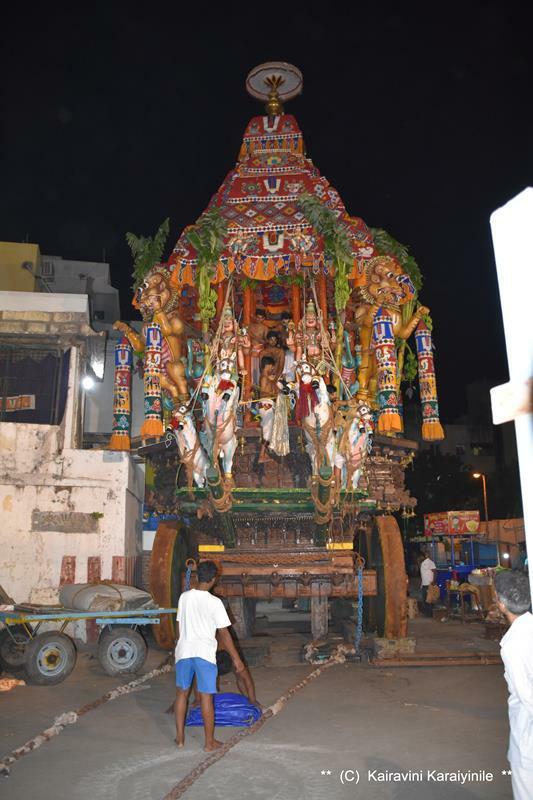 Today, 29th June 2018 is day 7 of Sri AzhagiyaSingar Aani Brahmothsavam – the grand Thiruther [chariot]…..
Till the time of its acquisition by the British in 17th century, Triplicane was a shrotriam village along with adjacent village of Pudupakkam. 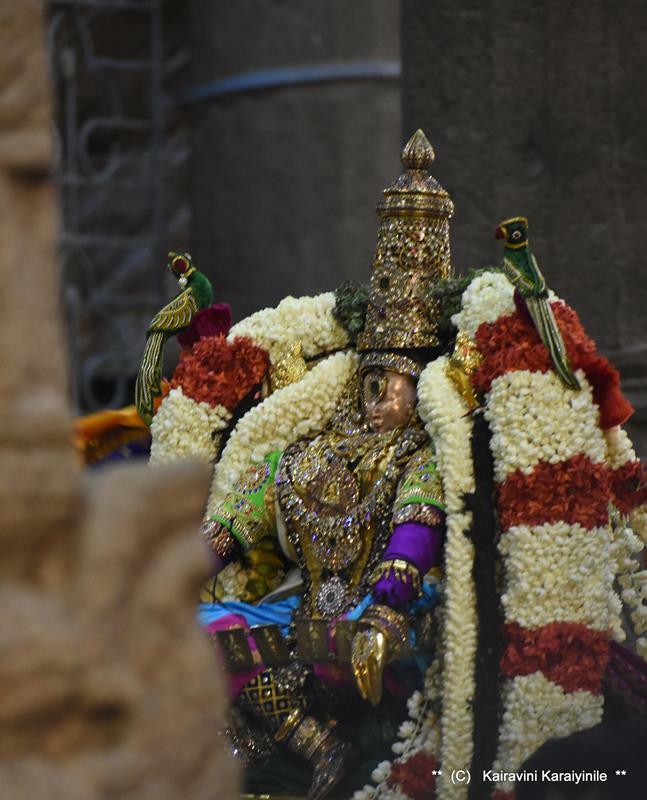 Its history remained surrounded by the iconic Sri Parthasarathi swami temple. 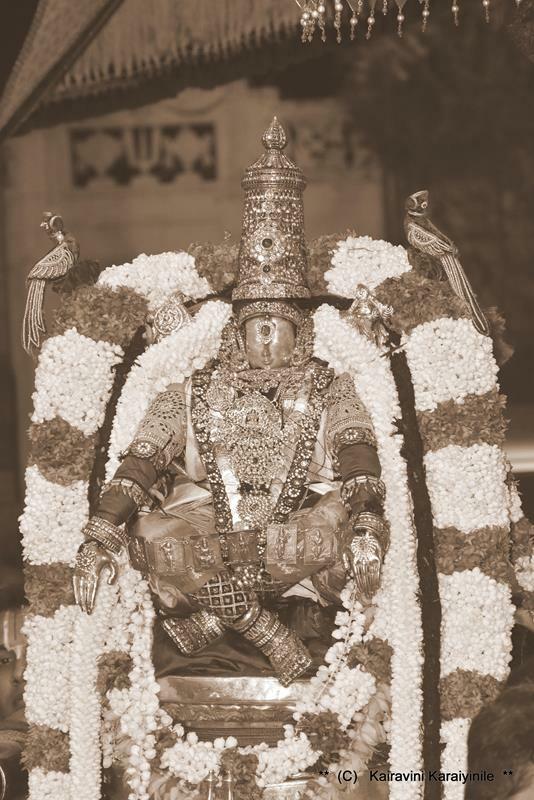 After Triplicane passed into the East India company’s hands in 1676 by a firman of Sultan of Golconda, the company leased it to its chief merchant Kasi Veeranna. 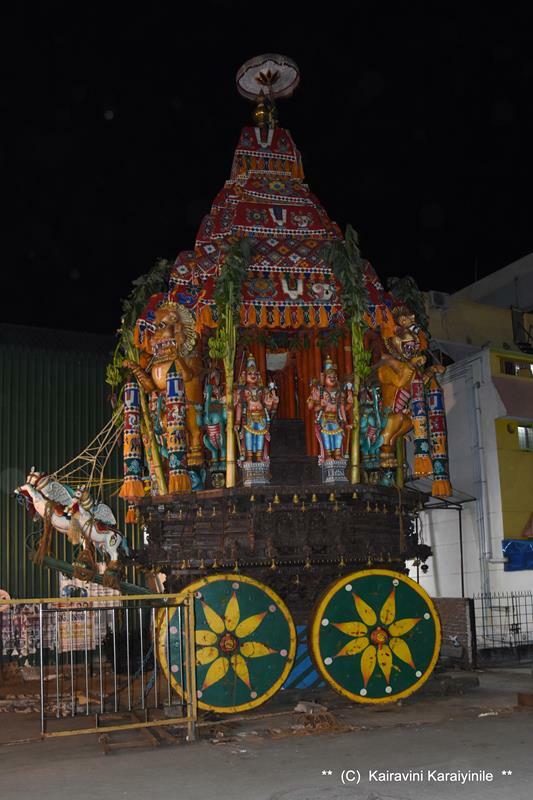 Triplicane figured prominently during the invasion of the Carnatic in 1740. 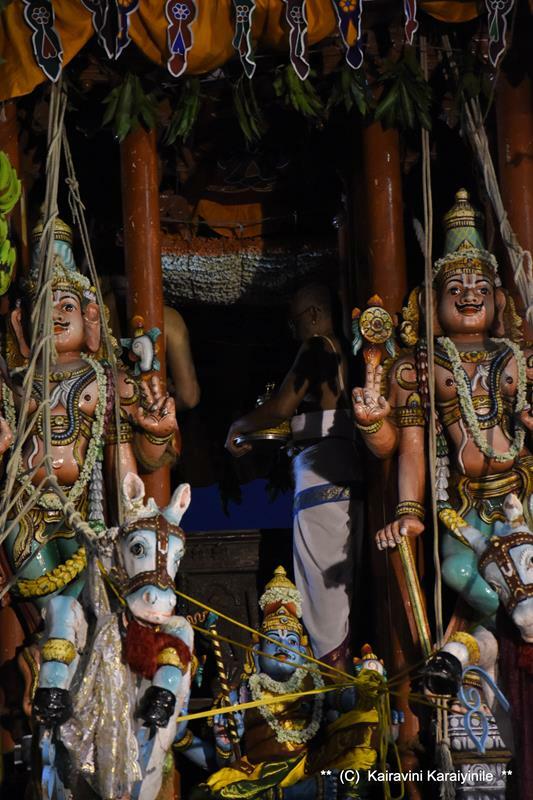 In Sept 1746, when the French Commander La Bourdannais attacked Madras, a body of French troops encamped on the east side of the temple. 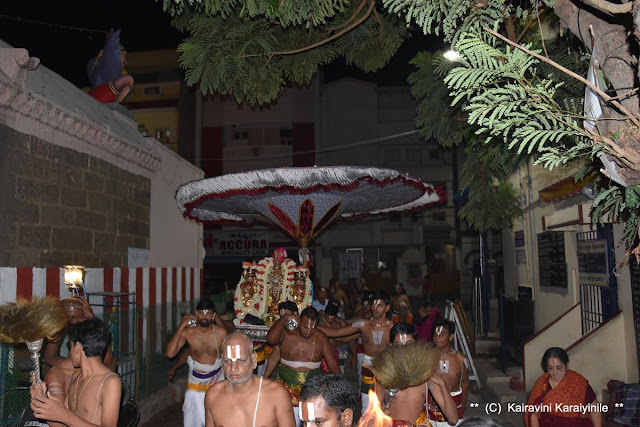 In a rough sketch plan of Madras about 1746 the grand Pagoda of Triplicane, the temple tank and French embankments have all been marked writes Ranganadham Chetty in History of Triplicane book compiled in 1948. 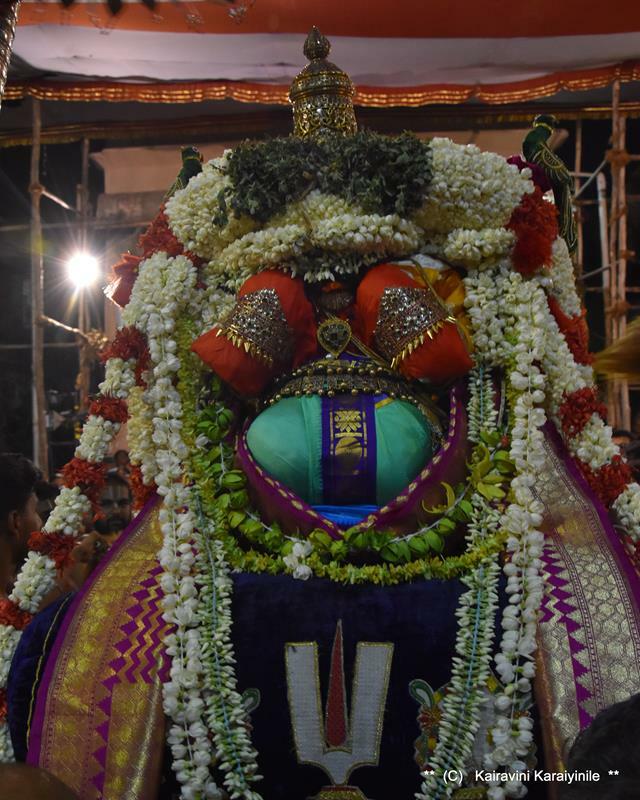 On the day of thiruther, Lord Thelliya Singar remains on the Thiruther till evening during which time Bakthas can ascend and have darshan. 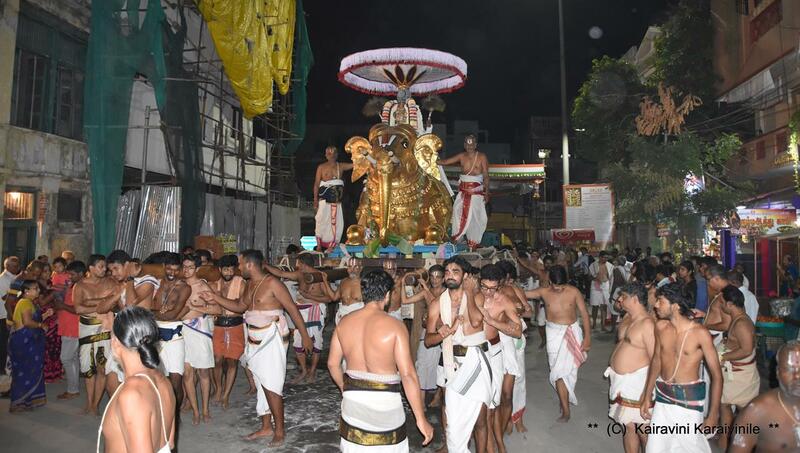 In the evening occurs the usual ‘pathi ulavuthal’ and purappadu, after which ‘thotta thirumanjanam’ would take place. 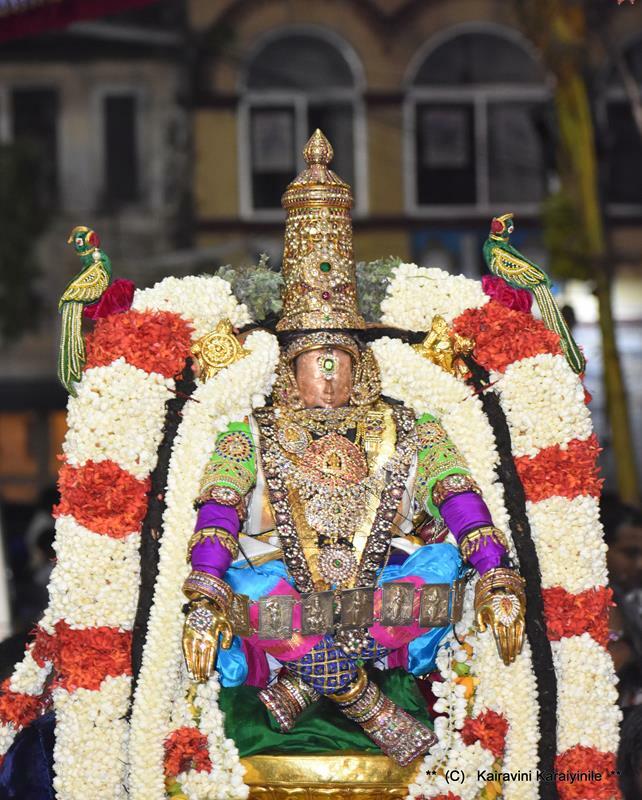 This used to happen in the cool Vasantha Mantapam situate in Venkata Rangam Street – unfortunately, this is no longer there and thirumanjanam takes place in the Andal neeratta mantapam now a days. 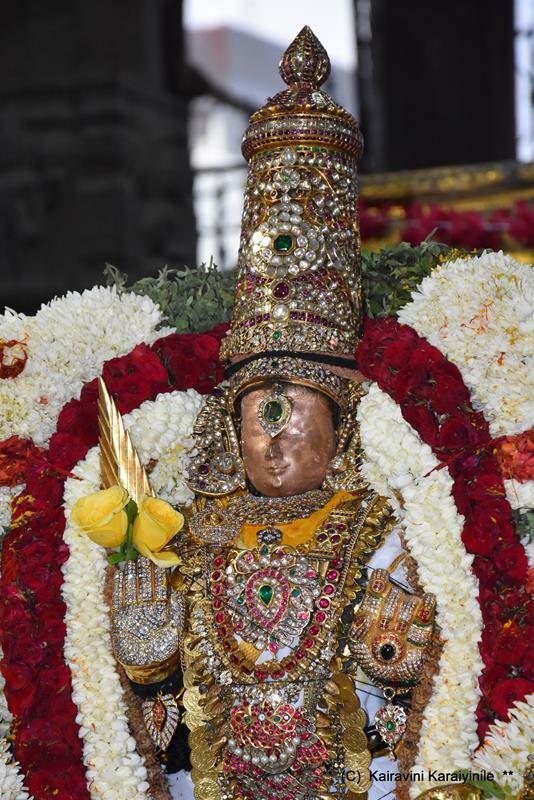 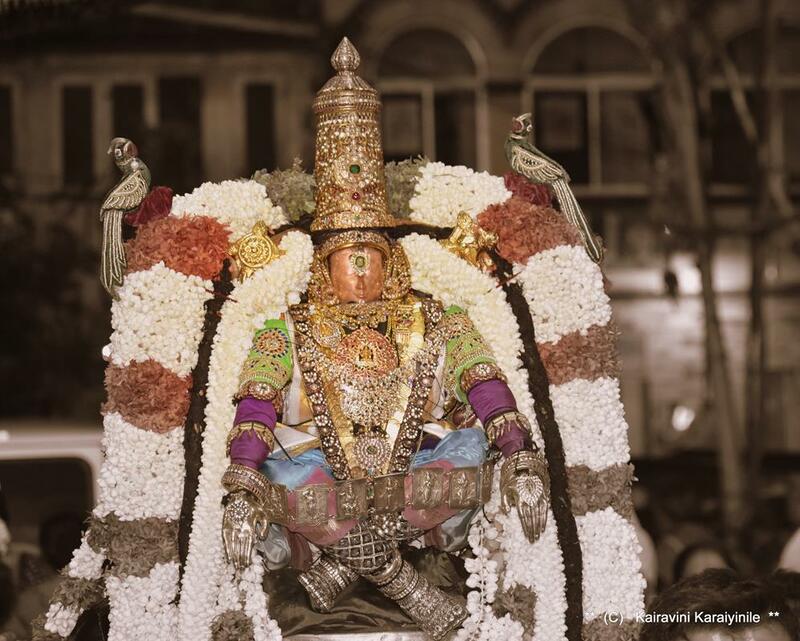 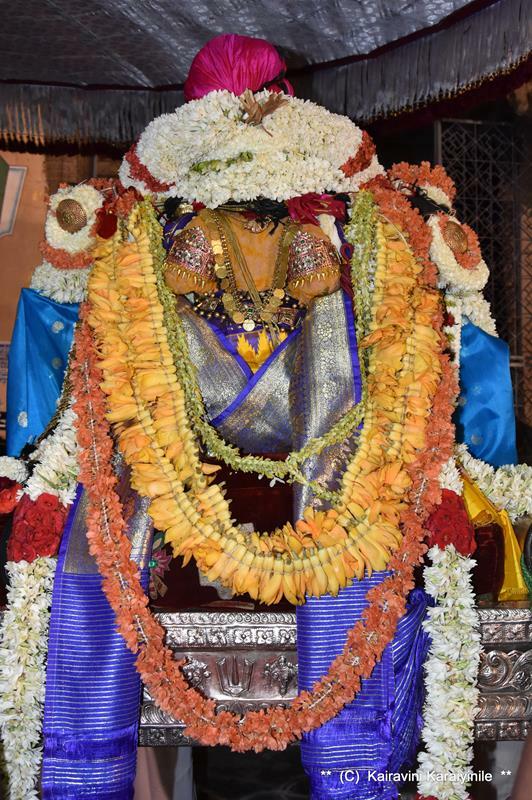 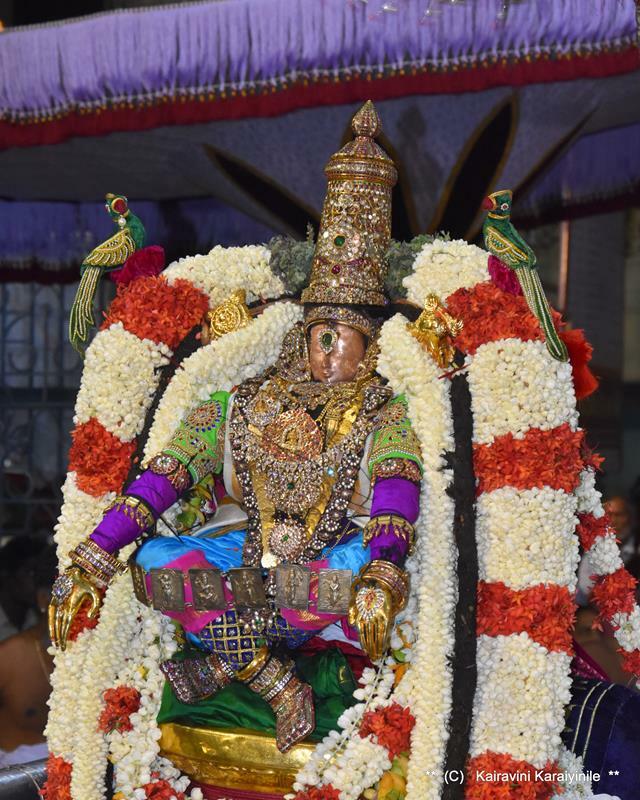 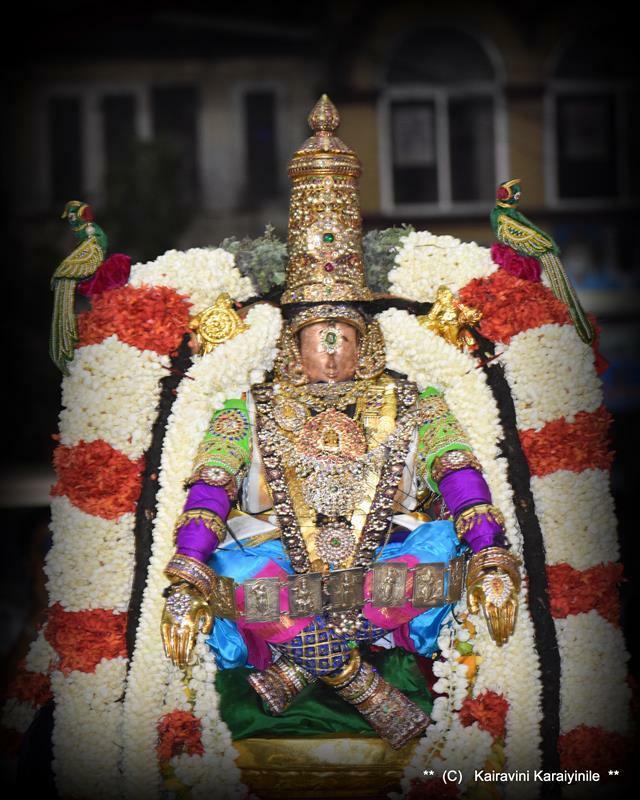 Uthsavams are celebrations ~ Brahmothsavam is celebration on a grand scale. People happily worship Lord in the streets, standing in front of the houses – have heard that in olden days, those elders so attached to the Lord would move a few distance alongwith the Lord, literally following Him. At Thiruvallikkeni, the brahmothsava purappadu takes hours and naturally, it is tiresome physically, not in mind for all involved. 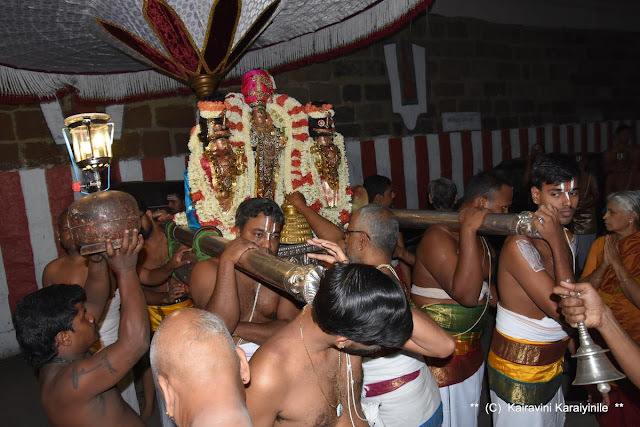 தேர் (திருக்கோவில் உத்சவங்களில் திருத்தேர்) - பண்டைய காலத்தில் இருந்தே மக்களை கவர்ந்து வந்துள்ளது. 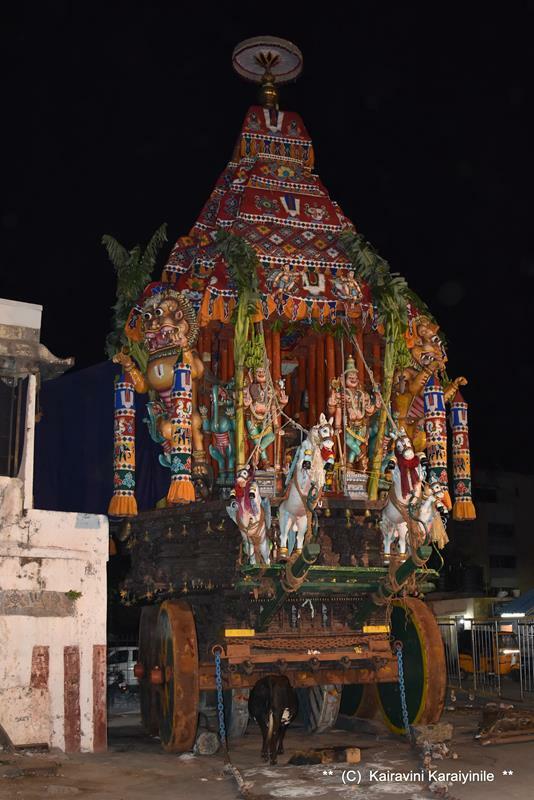 Tomorrow is thiruther for Sri Azhagiya Singar - @ 7 am, thousands would gather to have the glimpse of the thiruther rolling – juggernaut !! 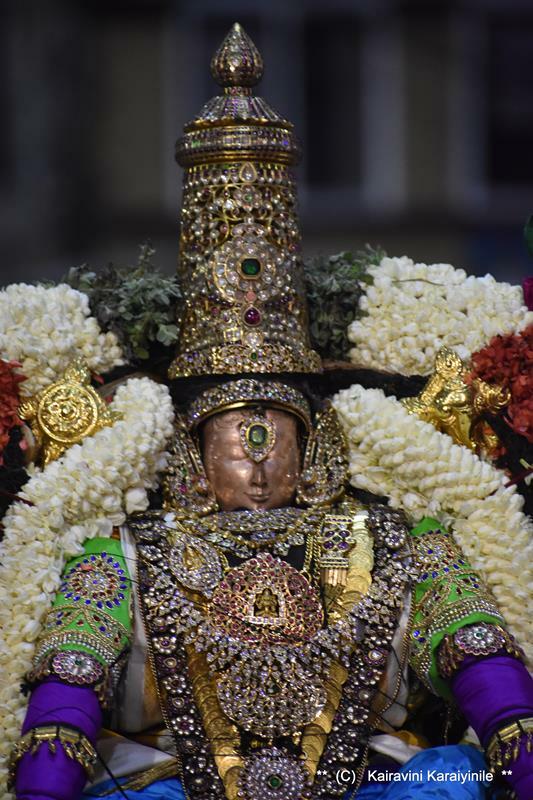 When we do kainkaryam to Lord (to Him at Thiruvenkadam), we must do service by being with HIM throughout our life and do as a slave would serve his master. 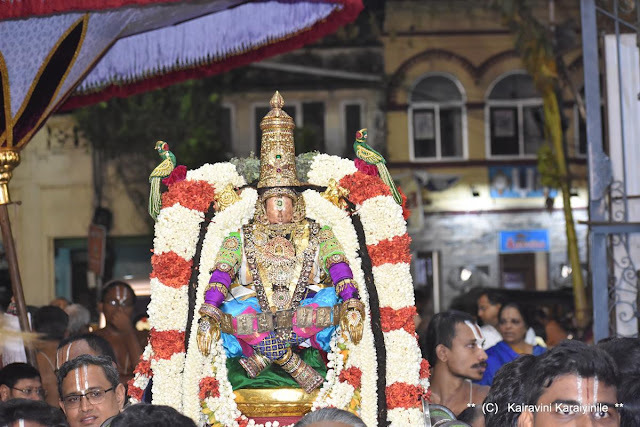 “ ஒழிவில் காலமெல்லாம் உடனாய் மன்னி, வழுவிலா அடிமை செய்ய வேண்டும் நாம்,” – Life in a divyadesam is always exhilarating – you get to mingle with so many persons whose life is entwined in service to Emperuman Sriman Narayana. 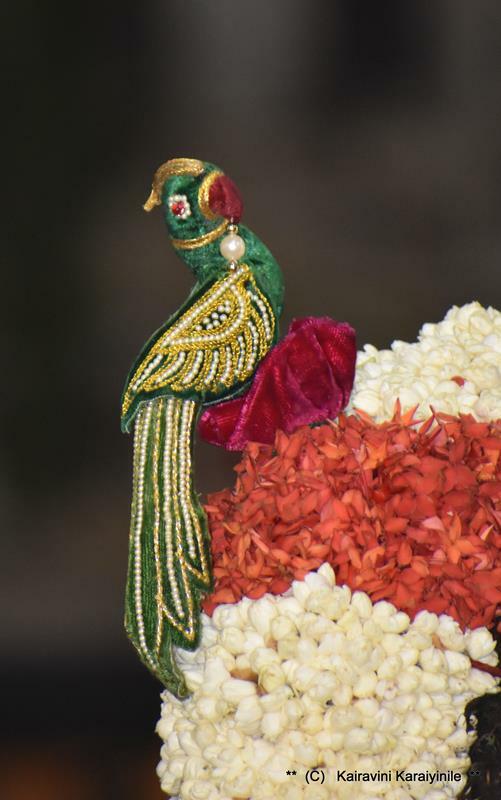 There are Battacharyars whose exceptional dedication ensures that Emperuman comes out adorning the choicest of flowers, ornaments, dress and more. 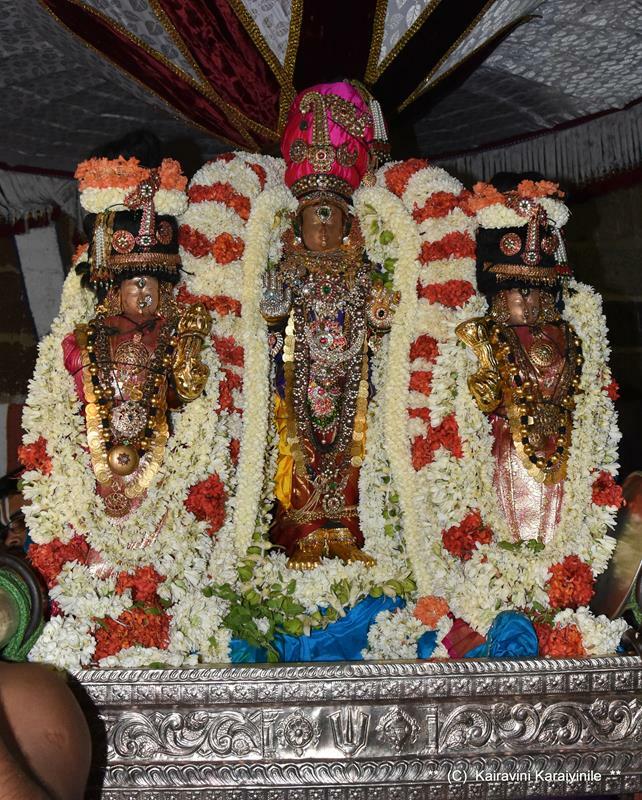 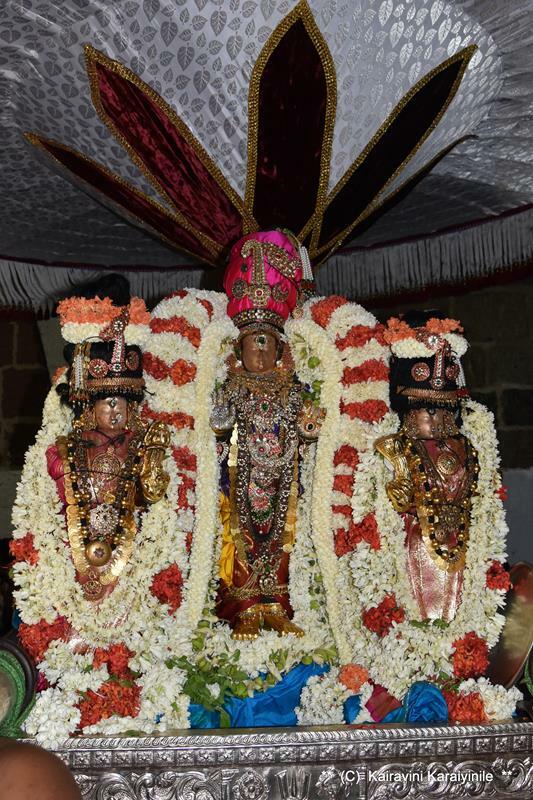 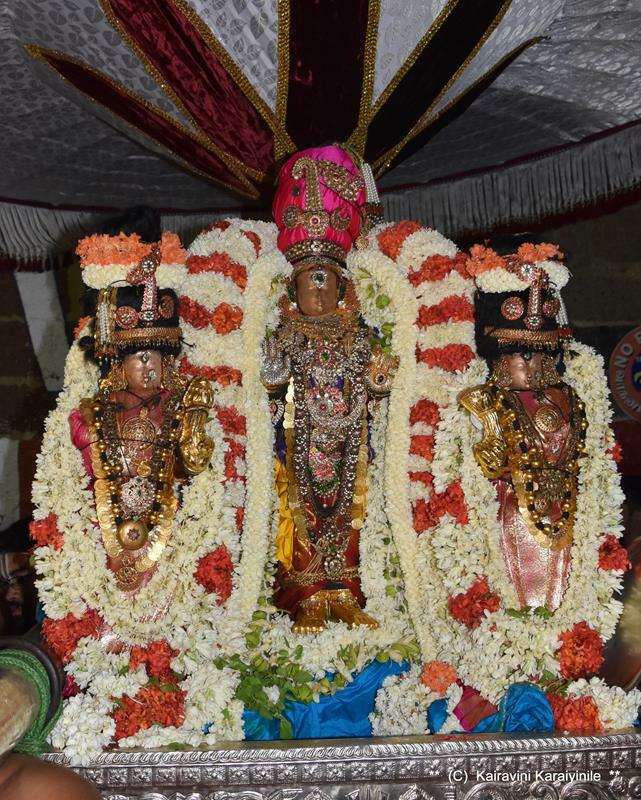 There are Veda adhyapaka goshti – hundreds of them chant Nalayira divyaprabandham in front of Emperuman on the streets and vada chanting after the perumal. Of the many kainkaryams, Sripadham thangis are physically associated too and can be very demanding. 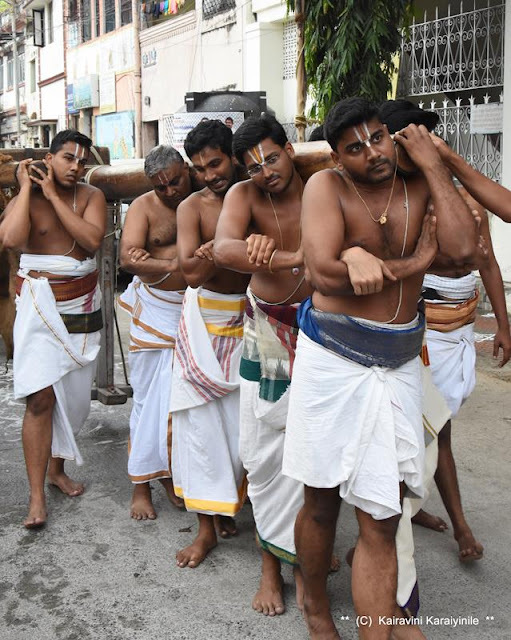 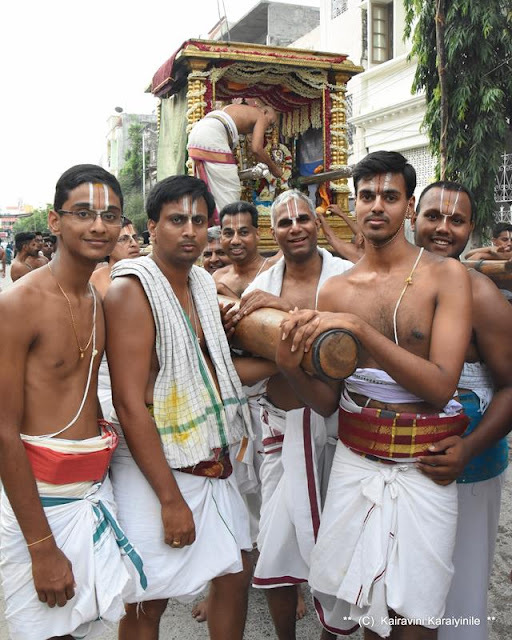 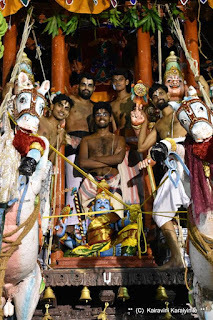 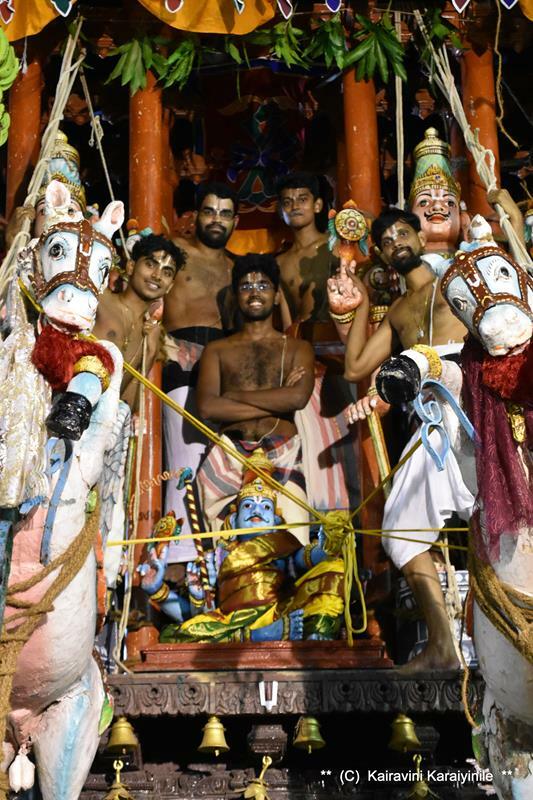 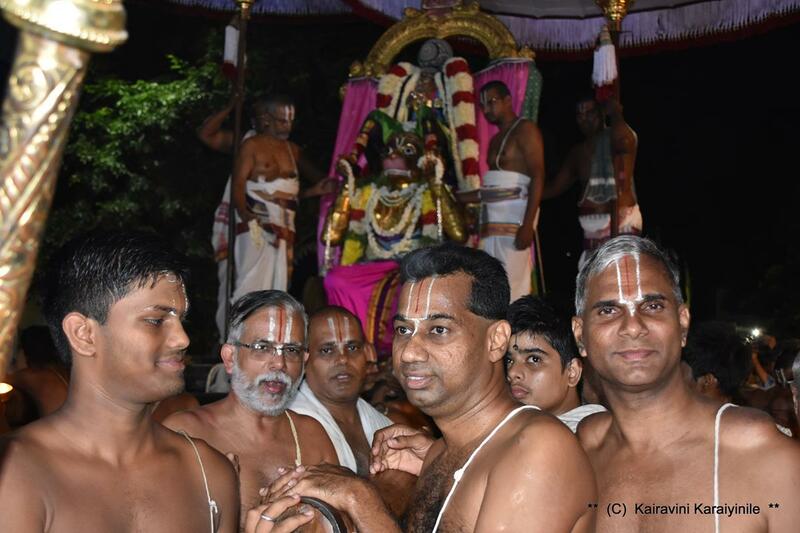 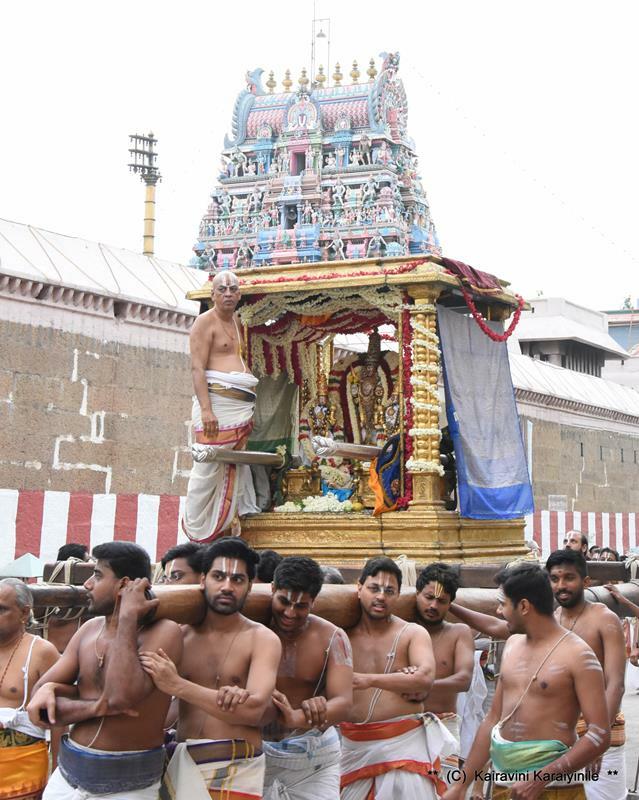 At Thiruvallikkeni there are many dedicated youngsters who are extremely committed to the kainkaryam of carrying the Lord on their shoulders and do all the associated activities. 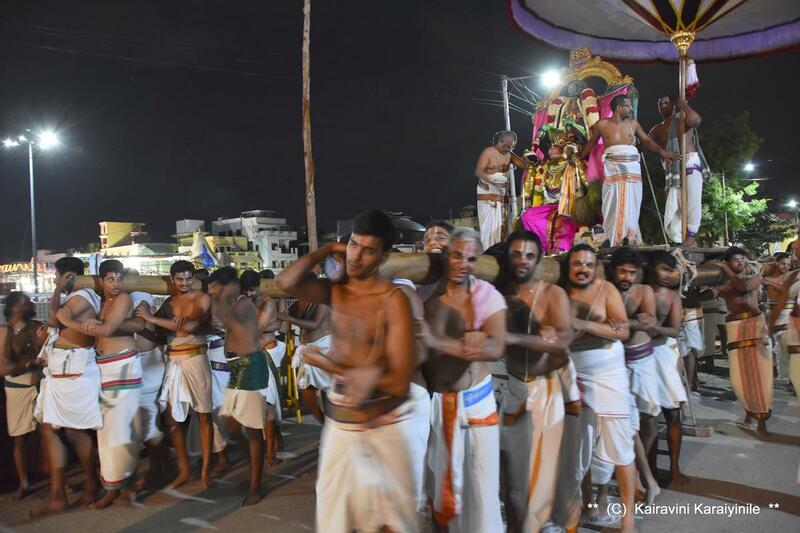 Their involvement actually commences hours before every purappadu and ends an hour or so late. Here, are a couple of photos of Thennacharya Srivaishnava Sripadham Thangigal of Thiruvallikkeni, getting thiruther ready for tomorrow morning, even while the Yanai vahana purappadu was on – a few more were keeping kuthirai vahanam in place. 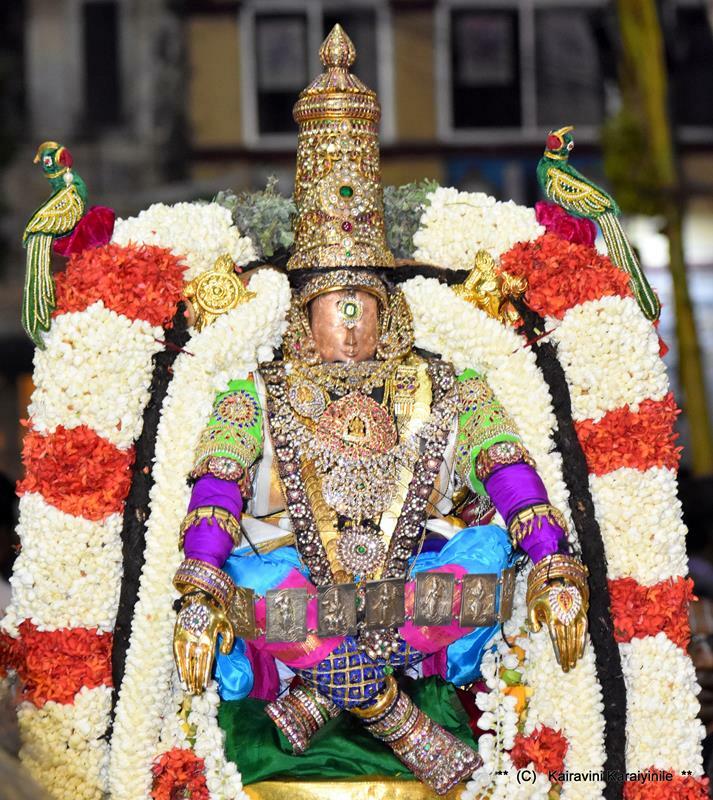 28th June 2018 @ 10.50 pm.